Little O really loves sensory bins. We made one for Easter last week. I dyed rice in four different colors. 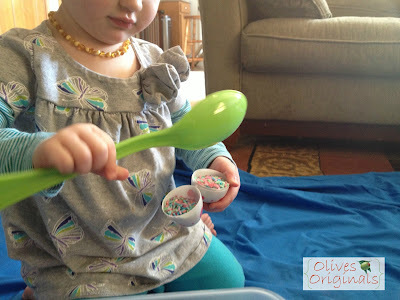 It's really easy to dye your own rice or noodles for sensory play. I found directions over at Play, Create, Explore. After making the rice, I added plastic Easter eggs (two different sizes) and some plastic serving spoons. I got both the eggs and the spoons at the Dollar Tree. 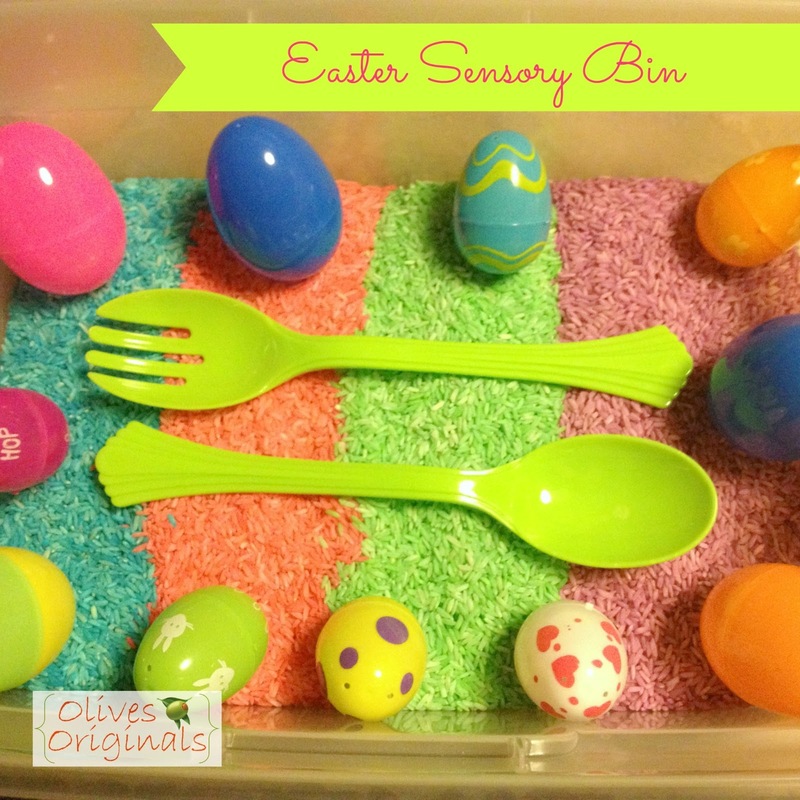 Little O just loved playing with this sensory bin. She scooped the rice with spoons and filled some of the eggs. We closed the eggs and shook them to hear the rice rattle around. Because this is a messy sensory bin (the rice has a tendency to exit the bin) I placed a sheet under the bin. It caught most of the rice, and when she was done playing I just used the sheet to pour the rice back into the bin for later. I know it's over, but this colored rice could be used for so much more than just Easter. I hope everyone had a nice Easter. We sure did!